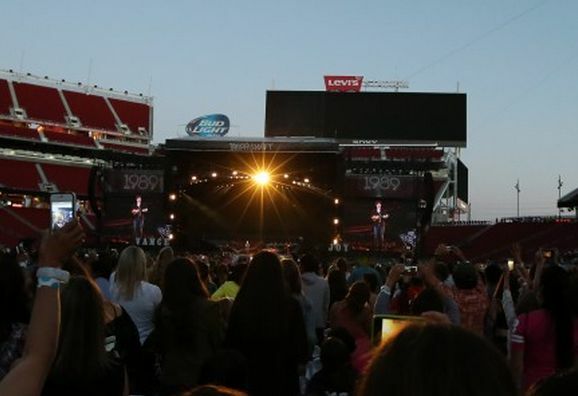 Because her humungous stage kept Levi’s Stadium from filling to capacity, Taylor Swift’s Aug. 14 and 15 shows didn’t come close to setting a Wi-Fi capacity record at the venue, as some had predicted. 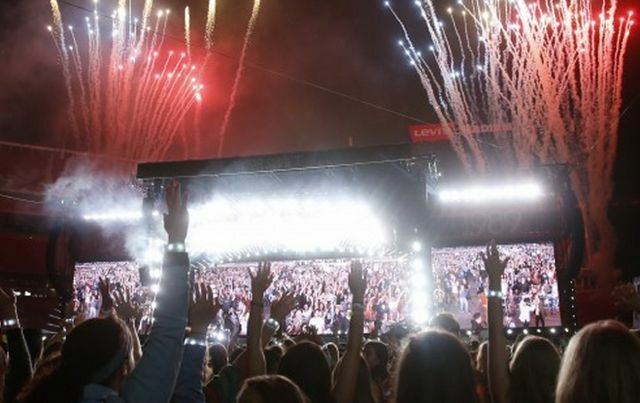 But with almost 20,000 unique users the first night and almost 24,000 the second, the “1989” tour events pushed the cumulative Levi’s Stadium Wi-Fi user number past the half-million mark, just more than a year after the venue officially opened. Thanks to Levi’s Stadium owners and operators, the San Francisco 49ers, we have some very interesting statistics about Wi-Fi use at large outdoor stadiums. Now that 509,524 unique users have logged in to the Levi’s Stadium Wi-Fi network during its numerous football and other events, the networking team has some interesting observations, including the fact that concertgoers use more bandwidth than football fans. Concerts generate up to 65% more load per fan than sporting events. o For 2014 NFL season, the average fan on Wi-Fi used 100MB. o For One Direction and Taylor concerts, the average fan consumed 164MB. Concerts are generating higher sustained loads on the network than sporting events. o For One Direction, the network was over 2 Gbps for 1 hour and 15 minutes continuously. o For Taylor the network was over 2 Gbps for a total of 1 hour and 10 minutes continuously. At many venues with Wi-Fi, the so-called “take rate” or the number of users actually logging in to the network is one key piece of data about how well the system is working. The idea is, the better it works, the more people log on. At the Taylor Swift concerts, the take rates were among the highest we’ve seen: For the first show with attendance of 50,393, there were 19,963 unique users on the Wi-Fi network; for the second show the numbers were 23,885 out of 52,479 in attendance. 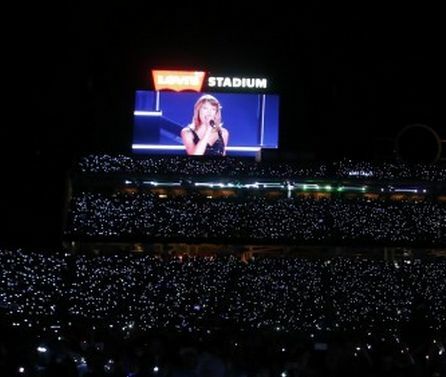 Let it be said, that even though the Swift concerts didn’t beat the all-time Levi’s Stadium Wi-Fi mark of 4.5 TB set by WrestleMania 31 back in March, each of the shows passed the 3 TB total mark, with 3.31 TB used on Aug. 14 and 3.807 TB used on Aug. 15. And remember, that’s with just a little more than 50,000 fans in the house, far fewer than the 76,976 who crammed in for the wrassling on March 31. 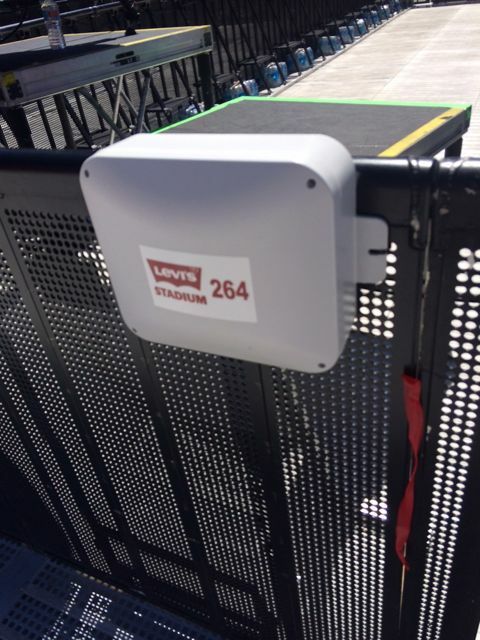 On average, nearly 40% of people attending an event at Levi’s use the Wi-Fi. 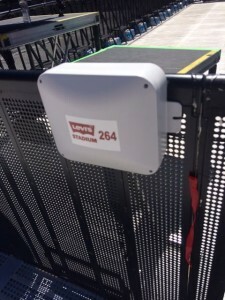 Part of what might have made the Swift audience bigger users of Wi-Fi was a new, improved temporary Wi-Fi network for the field seats, an innovation crafted by Wi-Fi gear supplier Aruba Networks and the Levi’s Stadium networking team. By putting temporary Wi-Fi APs on both the walls surrounding the field level, on railings in the temporary seats and even underneath the temporary flooring, the stadium provides service to the premium-seat customers, a challenge for NFL stadiums who must keep regular Sunday-game networks from bleeding into the field area (because that’s where the league operates its own Wi-Fi network for game operations). For what it’s worth, we also heard from DAS supplier DAS Group Professionals who said they were going to have temporary DAS antennas on the field as well for the Swift concerts. No DAS stats yet, however. Earlier this summer at the annual SEAT Conference, we had a very interesting panel discussion about which stats really matter when it comes to stadium Wi-Fi usage — though I will always remain a sucker for top-line totals, I do agree that there should probably be separate categories for events like the Swift concerts, the WrestleMania events, and regular football games. What is catching my attention more lately are numbers like the sustained connectivity and the unique and concurrent numbers of users, since in the end the bottom line on stadium Wi-Fi network performance has to be how many people are using it. A year in, it looks like the Levi’s Stadium network has passed a crucial test, in that people are both finding it and using it, even if they are not regular attendees or season-ticket holders. Those facts say a lot about how well the Levi’s Stadium system works, and should be numbers stadium tech professionals look to when assessing their own deployments. More Swift shots below. Enjoy. How do you explain that “Concerts generate up to 65% more load per fan than sporting events” its probably depend on different services offered, the average age of the fans ? Not sure about your confusion. Pretty clear from the stats that concert fans are using more bandwidth. Makes sense, since you don’t need to “watch” a song like you do sports action. So more random usage. also probably a lot more fans at concerts taking selfies/videos and uploading to social media..